Honestly, most of the people love foods. If you follow my Instagram and webpage, it seem majority that I posing will be about FOOD. It will be a difficulties for us to decide what to eat, where to eat, how to reach the destination and so on. Not long ago, I been introduce by Stella Heong about Food Ink. Have you heard about it? Food Ink was founded by a group of passionate food lovers, with fellow foodies in mind. 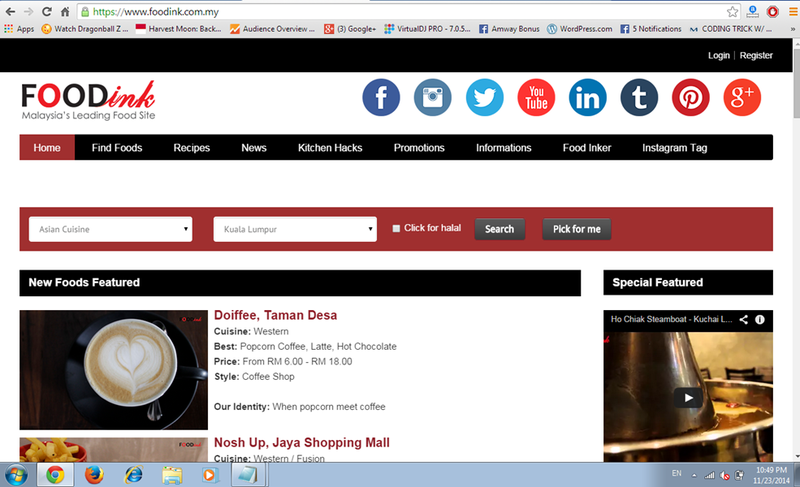 As Malaysia’s leading food portal, our aim is to enable foodies to hunt for food as well as the best gourmet deals and bargains easily. Let it be a strong piccolo latte or perhaps, Malaysia’s very own “Nasi Lemak” or banana leaf rice. Whatever tickles your fancy! Not only that, If you got chance, you must look through this Recipes Archives. It really awesome and I really like it a lot. 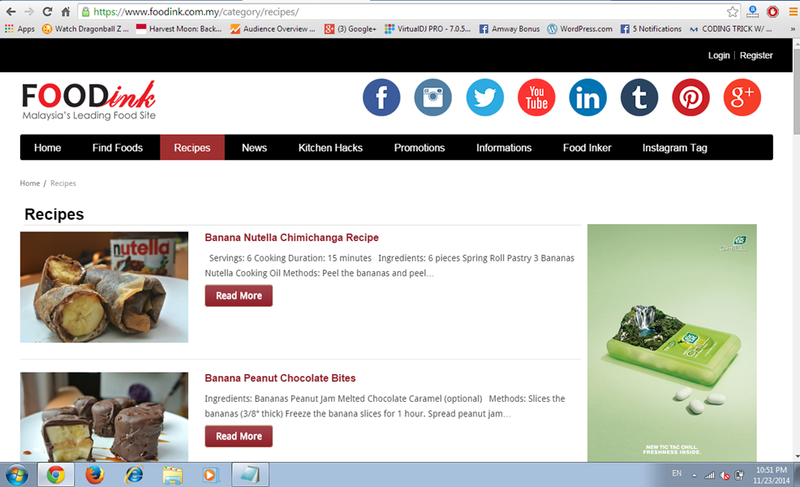 On the Recipes Archives, you able to learn step by step of using those easy ingredients to make a new dishes. For example, using Bananas, Peanut Jam and Melted Chocolate to make Banana Peanut Chocolate Bites. If you have someone that you love, like or even family, you should try to make this too. Basically, I will do the Banana Peanut Chocolate Bites soon and see who is the lucky one that will have a try of it. Sometime, recipes it a bit hard to understand, so Food Ink also provides video(tutorial) also. Actually for me, it is more easy to showing(video) than writing(words). Before I end, I feel that Food Ink will have potential than other website(on foods). I can feel that they really put a lot of effort on setting up their website, designing, and so on. For me, I feel that the hardest would be editing and making video. I hope that they will make more awesome stuff in future so that I able to learn too.